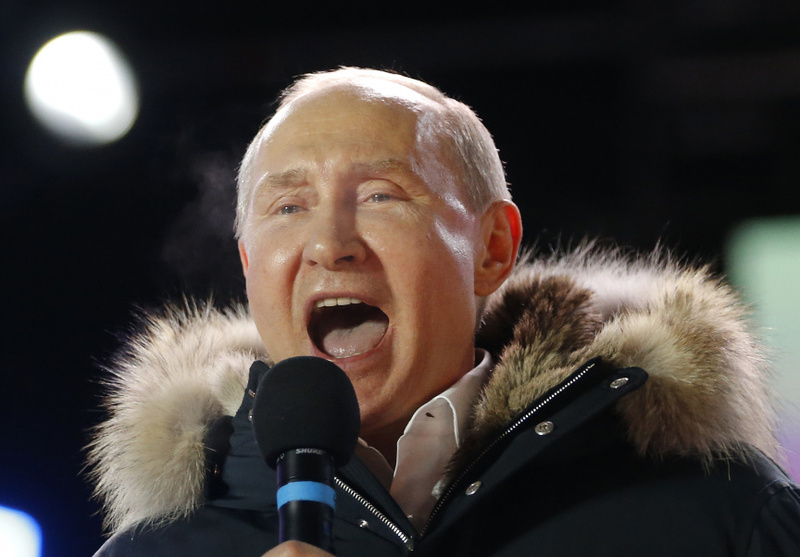 MOSCOW (AP) — Vladimir Putin rolled to a crushing re-election victory Sunday for six more years as Russia's president, and he told cheering supporters in a triumphant but brief speech that "we are bound for success." Putin extolled them for their support — "I am a member of your team" — and he promised them that "we are bound for success." "But the answer was easy ... if I want to keep working, I vote," he said, speaking on condition that his last name not be used out of fear his employer — the Moscow city government — would find out.